It was a long time coming, nearly almost as long as it took for Scorsese to win an Oscar, but I digress. 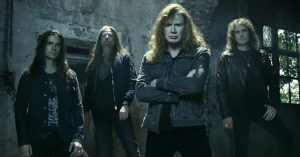 This February, Megadeth walked on stage at the GRAMMY Awards and finally got their due from the music industry’s most prestigious organization, a statue for “Best Metal Performance.” That it came for the title track of the band’s triumphant fifteenth album, Dystopia, must’ve felt even sweeter for members of the storied classic lineup indisputable Godfather of Thrash himself Dave Mustaine [vocals, guitar] and rhythmic genius David Ellefson [bass] and, of course, for the musicians that joined the dynamic duo in the studio Lamb of God’s Chris Adler behind the kit and Brazilian shredder Kiko Loureiro. 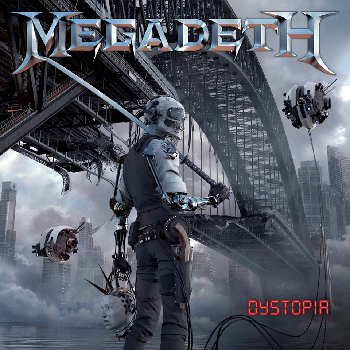 At this moment, Megadeth’s cultural impact feels more inescapable than ever. The ever-fantastic Damian Lewis just wore a Peace Sells… but Who’s Buying? t-shirt to a deposition on TV’s smartest show, Billions, as the song played in the background. Multi-platinum Dallas musical maverick Post Malone proudly sports a So Far, So Good… So What! tattoo and openly talks his love for the band. Examples continue to abound. As Megadeth gears up to roll out on the road with The Scorpions later this year, everything keeps coming back to Dystopia. It should be no surprise. If you go back to the beginning, this was always meant to be from Killing Is My Business… and Business Is Good! on. Go back to that early material, there’s an unmatched level of virtuosity and songwriting prowess. Who else can play and sing like that? Seriously, it’s like listening to Beethoven shred through a sonata on a Dean. For as much as Dystopia may reference the legacy, it indicates an even brighter future. 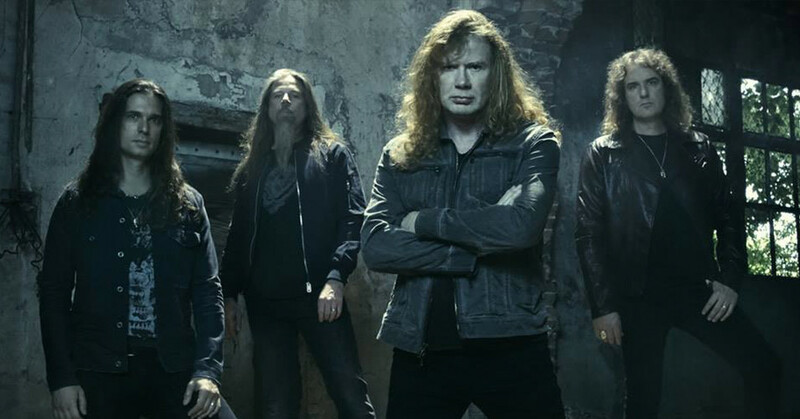 There’s still nobody like Megadeth, and there never will be. Adler wasn’t there. Dirk was. I noticed that too. But then I wondered if he gets a Gammy nod anyway for his work on the record? Adler posted his grammy he received for his contribution on social media the day of the awards ceremony. about time but why did it take so long.every album is a masterpiece listen back to other times and other bands every band writes different music that may be far off from the fans view.megadeth to me,is always first ,the last two members had some moments also if you can believe.im just so excited that megadeth is still strong and kiko and dirk will be great on future stuff.dirk live adds so much brillance and excitement,you can tell he loves it.long live megadeth.